That moment of panic when, while planning for a family vacation, you realize you're going to be away from your workshop for an extended period of time. An excruciatingly long period of time. It's the very reason I learned to carve and whittle. For times on holiday when I can't bear to relax for one more second, I have a set of carving tools and chunk of wood at the ready. As woodworkers, no matter where we go on our travels, our brains are conditioned to search for objects made of wood, tools, and workbenches. Yesterday, while perusing the sutlers' sundry wares at the Fort Frederick 18th-century Market Fair, I was drawn to the various devices the woodworkers brought with them so they could continue to work while away from home. The top photo is a toolbox and low bench with storage beneath. 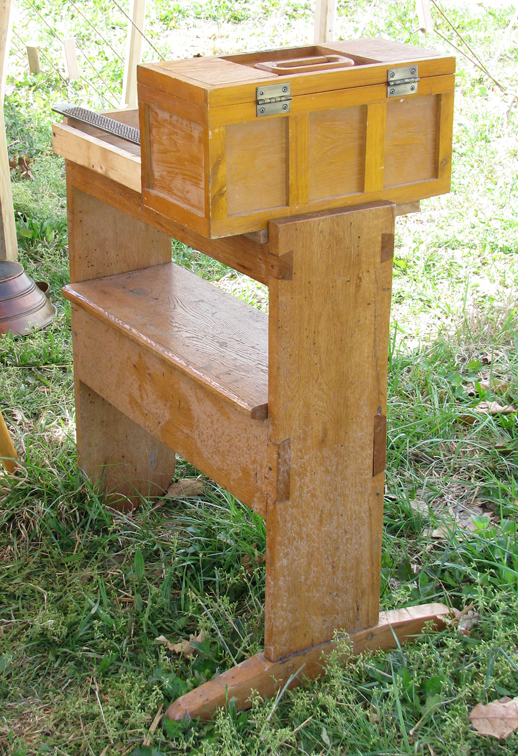 The large dovetails that join the boards are pegged, and one of the two legs has a pedestal foot. Below that is a skinny bench, also with only one pedestal foot. This one has a little face vise attached to one side. The skinny top makes it easy to clamp a board from both sides. 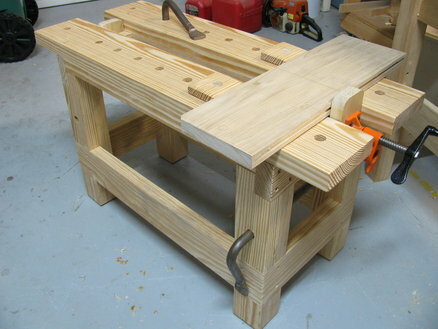 Add a bench stop and start planing. The third photo is a simple and handsome shaving horse. 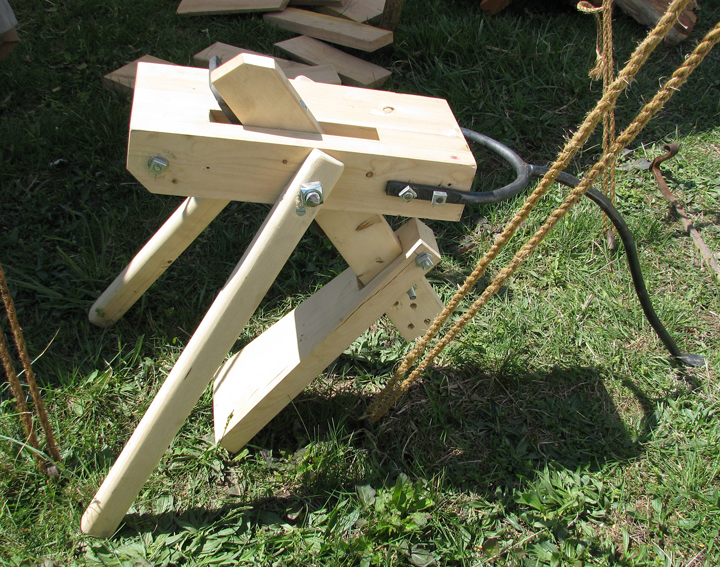 Beneath it is a truncated shaving horse which is sort of a cross between a shaving mule and a shaving pony. The man who made it is a spoon carver. The L-shaped metal bar that's attached to the pivoting head holds the workpiece in place. 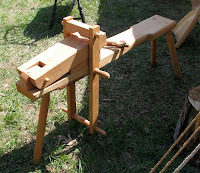 What looks to me to be an exaggerated angle on the wooden legs would help keep the bench stationary in use; the carver's weight can't be used since there's no seat. 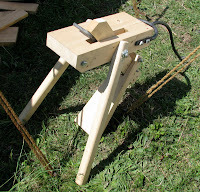 The metal front leg digs into the ground, further anchoring the mule-pony. The final image is one I found online and was designed by a member of the Lumber Jocks community. This saw bench is great as is, but you can easily make adjustments and add accessories based on the type of work you do. I can see this doubling as a bowl bench. With a short-handled adze, you can straddle the bench while the workpiece is secured by a bar clamp equipped with tall wood pads. 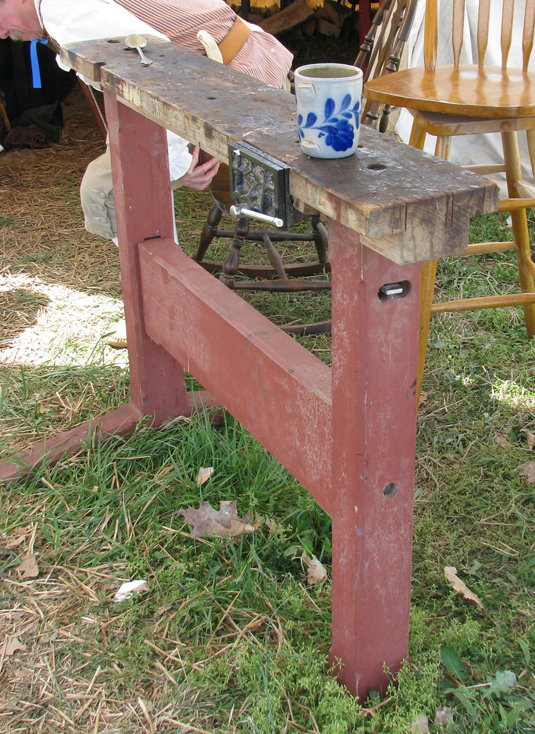 You can add a little tool box underneath so the weight of the tools help keep the bench from sliding. Lots of a clever ideas to take woodworking on the road. Now maybe a beach vacation won't seem so torturous.